The mainstream payment industry has long been asking for a much-needed revolution considering the high transaction costs, remittance fees, time-taking processes and fraudulent activities. Over the years, Blockchain technology has emerged as a savior for the banking sector specifically as an alternative payments system. It provides a decentralized system that records and shares information without an overbearing central authority while also reducing, transaction fees, time and the occurrence of errors or frauds. The market is still ripe for the taking and Everex is trying to pave the way for a direct payment space for domestic as well as international transactions/transfers. 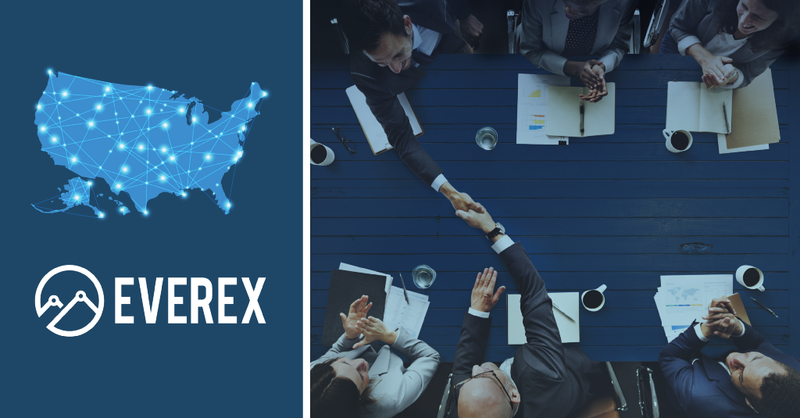 Everex’s stable coin platform will be leading from the front as a pioneer in global remittance. “We believe it is the right time to introduce our solution to the US market, one of the most vibrant payment markets worldwide. Although credit card payments are dominant in the US retail space, this comes with high cost — for both, transactions and settlements, causing merchants to borrow working capital against pending settlement from their sales. Our blockchain payment solution solves both of those problems.” says Alexi Lane, founder and CEO of Everex. The US government has opened up to blockchain and the cryptocurrencies market, leaving the market ripe for taking. On to a completely digital world! To help set up and drive operations in the new market, Everex has invited Anna Vladi as Chief Operating Officer. Anna has been a company advisor for the past year and has jumpstarted MSB licensing in the States. During her last stint with Accenture, Anna was supervising Blockchain in the energy sector. Prior to this, she was Vice President of Operations and Systems at AIG and has also served as a founding partner in a boutique management consulting firm.